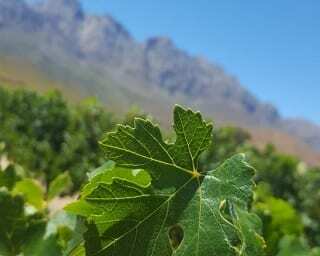 With the wine grape harvest in full swing throughout South Africa’s vineyards, Winetech and Vinpro recently announced the best vineyard blocks in five regions. 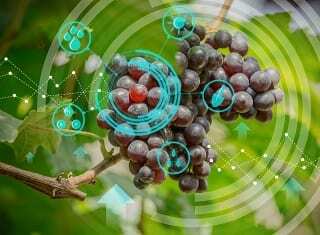 The Vinpro Winetech Vineyard Block Competition is held in the respective regions annually during January to identify, evaluate and share optimum vineyard practices with industry. An independent panel of viticulturists and soil scientists evaluate the entries. Olifants River: Renier Rossouw of Uitkyk farm near Klawer, with a block Chenin Blanc. Paarl/Swartland: Juan van der Riet of Twee Jonge Gezellen near Tulbagh, with a block Pinot Noir. Robertson: Ernst and Flip Botha of Kruispad farm near Robertson, with a Shiraz vineyard block. Stellenbosch: Christo Crous of Uva Mira Mountain Vineyards near Stellenbosch, with a block Cabernet Franc. Worcester/Breedekloof: Bruno Suter of De Breederivier farm with a block Cabernet Sauvignon. The fact that each region’s winning vineyard block consisted of a different cultivar, showcases the high standard that producers maintain across the cultivar spectrum. “It’s important to give recognition to those individuals who are able to manage all the variables of wine grape growing well – from the terroir and most suited cultivar choice, to applying the right practices at the right time, as well as adapting to variable seasonal conditions, costs and the wine goal,” says Lucinda Heyns, viticultural technology transfer coordinator at Winetech. “These producers contribute to the quality of the end-product, and most importantly to the image of South African wines,” she says. Farmers days were held in the respective regions following the evaluations, during which best practices were discussed, and wine grape producers and panel members could view and discuss the winning block with each other. “Producers face the same challenges. During these farmers days they can learn from each other and better equip themselves to manage their vineyards to the highest standard,” says Conrad. Visit www.vinpro.co.za for more details on each of the regional winners.